Many benchmarks later, the answer lies somewhere between a smaller battery and heavier workloads. 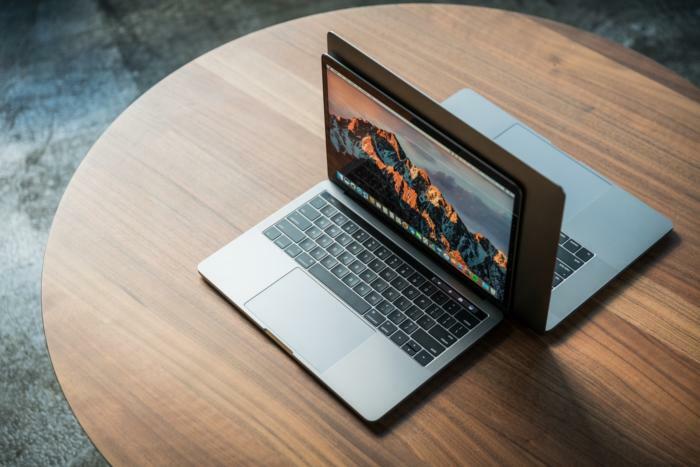 Read professional reviews of Apple’s new MacBook Pro lineup, and you’ll come away thinking the new laptops have great battery life. Dive into a customer forum, though, and the upshot will be exactly the opposite: The new MacBook Pros have “piss poor” battery life. 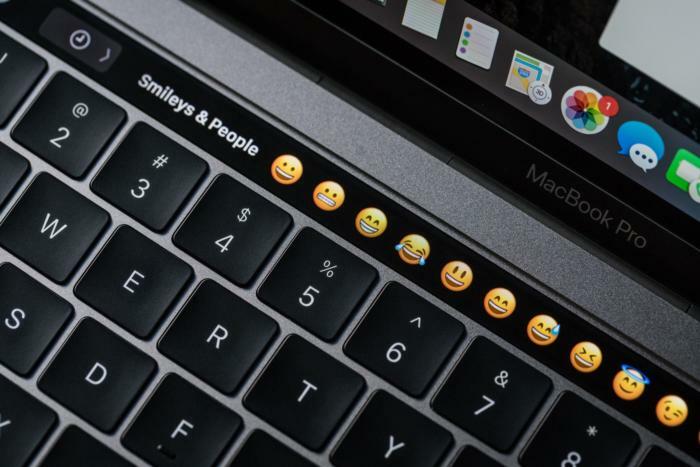 Complaints about poor battery life on the new MacBook Pro lineup have been piling up—despite the laptops’ high marks for battery life from professional reviewers. Macworld isn’t alone. From Laptopmag to The Verge and Notebookcheck.net, the vast majority of reviewers have lauded the MacBook Pros for good battery life. My own tests agreed. I’m no fan of the MacBook Pro’s butterfly-switch keyboard, nor its lack of USB Type A ports, but one thing I do know is it has relatively good battery life. 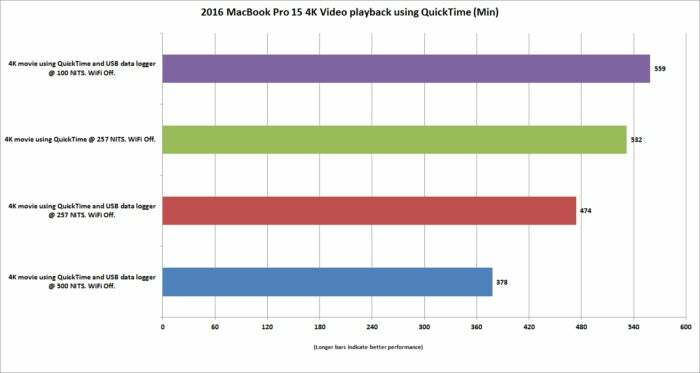 When I tested both a non-Touch Bar 13-inch MacBook Pro and the base 15-inch MacBook Pro some months ago, I was able to coax about nine hours of 4K video playback from each at 255 nits of brightness. The truth about the MacBook Pro’s battery life had to be somewhere in this mess of conflicting results. I returned to the MacBook Pro 15 I’d tested before to put it through multiple run-down scenarios, charging and discharging the MacBook Pro 15 under different loads over the course of many days. 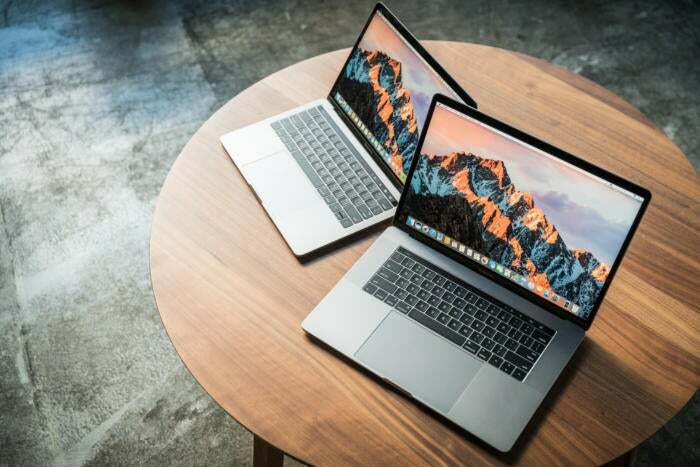 This particular MacBook Pro 15 is the baseline model with a Core i7-6700HQ, Radeon Pro 450, 16GB of LPDDR3/2133 RAM, and 256GB of flash storage. The OS I used in the majority of these tests was the latest public one available when I started my testing: macOS Sierra 10.12.2. I disabled automatic screen dimming and manually calibrated brightness using our Minolta photometer for each of the brightness settings I used. You’d typically run these tests multiple times to calculate an average to reduce variability. Given the considerable time it takes to perform individual run-down tests, I went with a more casual single-run scenario. The MacBook Pro 15 with discrete graphics has indeed suffered from a software problem that chews up the battery. For the first test, I ran the open-source 4K movie Tears of Steel. The actual video player you use can have a huge impact on battery life (you can read more on this topic here), so I opted to use Apple’s QuickTime player. Apple’s official video run-down test uses iTunes, but I’ve never figured out how the company is able to get the video to loop for its tests. The video was looped with the Wi-Fi switched off and audio on. Rather than the laptop’s speakers, I used earbuds to (theoretically) reduce the power drain from driving the larger speakers. The brightness settings I used were at a fairly dim 100 nits, a fairly bright 257 nits (which is a good setting for an office or home in the daytime), and finally, the laptop’s maximum brightness setting of 500 nits. 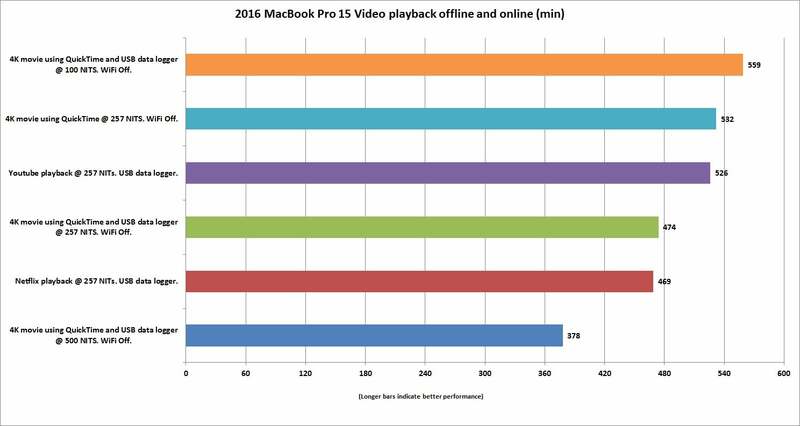 The MacBook Pro 15 has pretty stellar life playing video. Set to 257 nits, we’re seeing just about eight hours of battery life. Even more impressive to me is that at the blazing 500-nit setting, you can still get six hours of run time. Considering the 2880-by-1800 native resolution and brightness of the panel, that’s actually pretty nice. You can expect from 6 to 10 hours of battery life playing 4K video, depending on the brightness of the screen. There’s one more result on the chart to be aware of, and that’s the battery life when none of the laptop’s USB-C ports are being used. For all the other tests, I used a self-powered device that logs the voltage of the USB port. This lets us know when the laptop is on, and when it finally dies. This device works because on older MacBook Pros and most other laptops, the USB Type A ports are run on chips that are usually powered on at all times. The MacBook Pro, however, uses Thunderbolt 3 controllers. With Thunderbolt 3, the chip appears to conserve power by switching off when not being used. With our USB device in place, however, the Thunderbolt 3 chip appears to stay awake. The laptop itself did not log any power being consumed by the Thunderbolt port, but the results pretty much match the consumption I’ve seen on another couple of laptops, so I think there’s still a small cost in power. The upshot: If you run a USB device on your MacBook Pro, you’ll take a small hit. If you refrain from doing that, then you’ll probably get slightly longer battery life. Most video today is watched online, not offline. Using a brightness setting of 257 nits, I flipped on the Wi-Fi and measured how long it took to run down the MacBook Pro 15 on YouTube and Netflix. For YouTube, I picked a 24-hour Nyan Cat video that’s pretty low-res. I don’t get Nyan Cat, but apparently it’s a thing. It’s also a 24-hour video, so there wasn’t a chance it would stop in the middle of the night and invalidate my test. Rather than pick a video on Netflix and try to rewind it every few hours, or try to binge-watch a show (which can be unreliable, as the video will occasionally stop streaming), I decided to use Netflix’s internal test video called Example 8 hour 23.976. I intentionally forced the video bit rate to the 4870 option. Audio was on for both, and I used a set of earbuds. The results look good. The YouTube video ran for just under nine hours, while the Netflix video was just short of eight hours. Netflix and YouTube streaming also yielded fairly good battery runtime on the new MacBook Pro 15. When you’re looking at this category of laptop, however, you shouldn’t expect people to limit their chores to light duty. It is a “pro” laptop, right? One thing I don’t think people understand is just how much of a penalty you pay when you push the GPU or CPU very hard. To find out, I ran two tests. The first used the game Tomb Raider. I set the game for 1680x1050 resolution on the medium setting and ran the game’s built-in benchmark. Once the benchmark is finished, it continues to loop a 3D scene. I then unplugged the MacBook Pro 15 and let it run down to zero. This particular test is mostly a load on the GPU, but the CPU is working as well. After recharging the laptop, I ran the test using Prime95, which is a pure CPU test. I used the Torture Test Blended mode and manually recorded when the laptop died. Both tasks emptied the battery in just over 80 minutes. You can see how drastic the battery situation gets depending on how hard you push it. Drive it hard, and you’ll be lucky to get an hour or so out of it. 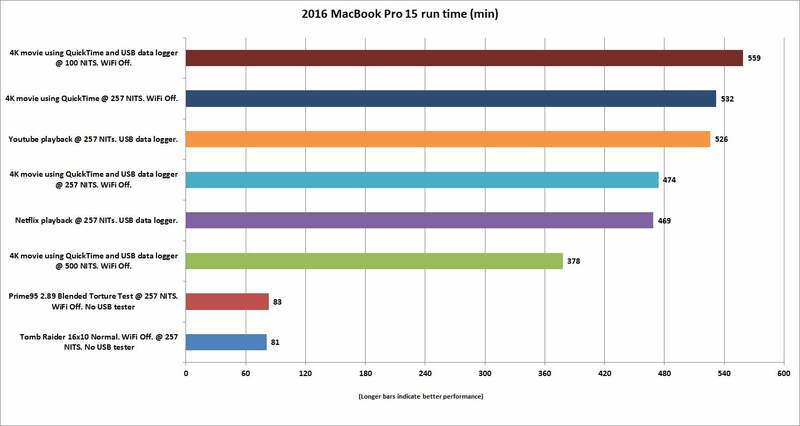 Push the GPU or CPU hard on the new MacBook Pro 15, and battery life will plummet. There was, indeed, a bug. Read on to learn all about it.